Lion Feuchtwanger and wife Marta in their garden. 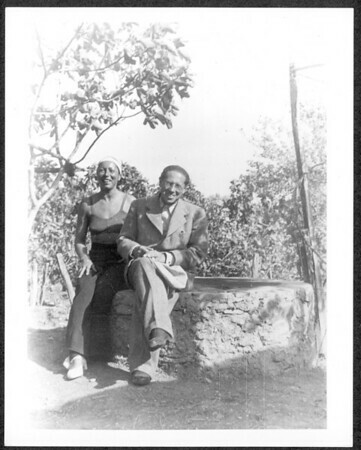 Lion Feuchtwanger and wife Marta in their garden, Sanary, France, 1940-1950. Sitting among the trees they are both perched on a wall smiling for the camera.